Returning with a brand new 6 track EP Liverpool quintet Racing Glaciers offer up the first taste of what's to come in the form of New Country. Through an aspirational drive of maturity the band blend together thunderous percussion with glistening rhythmic sections that act as the perfect counterpart to one another. With a genre defying sound forming an amalgamation of many different musical elements trying to pin them down to one would be a pretty hard feat to achieve. New Country acts as another beautiful example of their stunning visionary and with Barny Barnicott (Arctic Monkeys, Bombay Bicycle Club, Peace) on mixing duties it's safe to say the rest of the EP will no doubt be of equal calibre. You'll be able to get your hands on the 'Ahead of you Forever' EP from February 2nd and can Pre-Order it now from iTunes here. 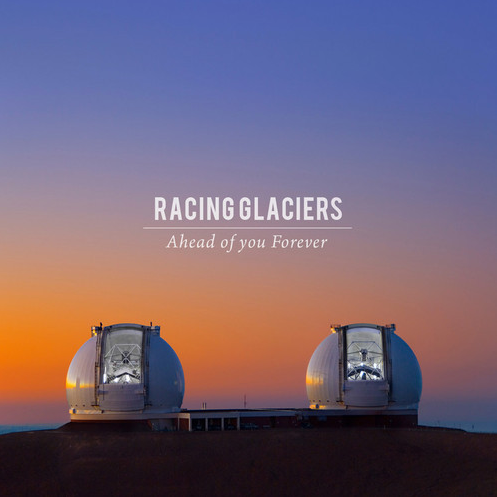 Racing Glaciers are Tim Monaghan (Lead Singer/Keys/Guitar,) Danny Thorpe (Backing Vocals/Rhythm Guitar,) Matt Scheepers (Backing Vocals/Bass/Trumpet,) Simon Millest (Lead Guitar) and Matt Welch (Drums).